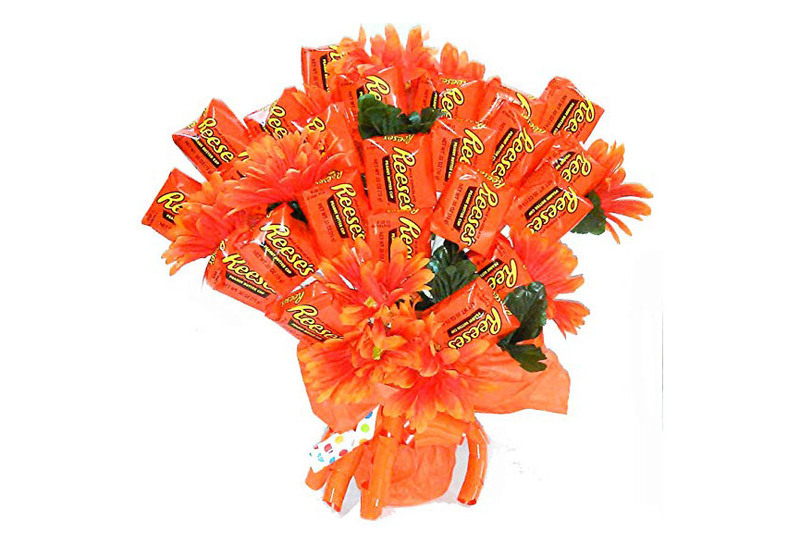 The arrangement is piled high with a combination of 36 packs of Reese’s Peanut Butter Cups and faux orange flowers to match. Romantic and tasty, right? The gift is already on shelves to buy pre-Valentine’s Day at both Walmart and Overstock for under $50—much cheaper than a dozen roses will cost you this time of year. If your Valentine isn’t into the peanut butter and chocolate combination, Walmart is offering additional candy bouquets. The store also sells Twizzlers, Baby Ruth, Ferrero Rocher, KitKat and M&M versions of the same arrangement style. They range in price from $38 to $68. Best of all, none of the bouquets require watering or any other general maintenance—aside from enjoying every last bite.